Allen Suhr Obituary - Mays Landing, New Jersey | Boakes Funeral Home, Inc.
Allen A. Suhr, 91, of Pomona, NJ passed away on January 1, 2019 following a long battle with Alzheimers disease. He was born in Creighton, Nebraska where he resided until joining the US Navy in September of 1948. His Naval training was in electronics, and he served on the USS Burton Island AGB-1; he was a Seabee. 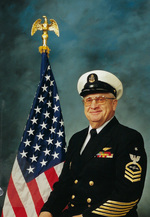 He served in the US Navy for 25 years prior to retiring as a Senior Chief Petty Officer in Atlantic City. Allen also worked for the Federal Government as an instructor for radar and teletype operators. He was transferred to the Federal Aviation Administration where he was a computer technician. He finally worked for the Atlantic City Expressway as a toll collector. Allen was never idle, and he loved to keep busy. He loved to do woodworking projects as well as repairing clocks and watches. Allen was married to Barbara Jane Kaney on June 7, 1952, and they spent 66 years together. Their marriage was blessed with seven children: Mary Ann (Ed), Allen Albert (Patti), Karen Jean, Gary Edward (Toni), Larry Paul, Dean Allen and Paul Francis (Angela); also 10 grandchildren; four deceased grandchildren, and 20 great-grandchildren. A viewing will be held on Monday, January 7, at the Trinity Alliance Church, 101 S. Cologne Ave., Egg Harbor City, from 10-11 AM, with a service at 11 AM. Burial with military honors will follow at the Atlantic County Veterans Cemetery in Estell Manor.